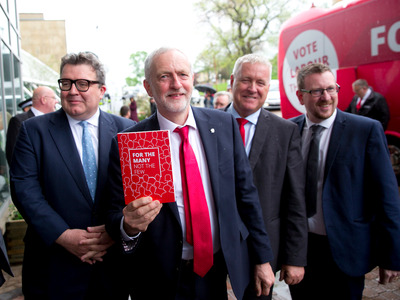 Isabel Infantes/EMPICS Entertainment/PATom Watson, Leader of the Labour Party, Jeremy Corbyn, Ian Lavery, and Andrew Gwynne arrive in the party’s battle bus at an event in the University of Bradford to launch the party’s manifesto. 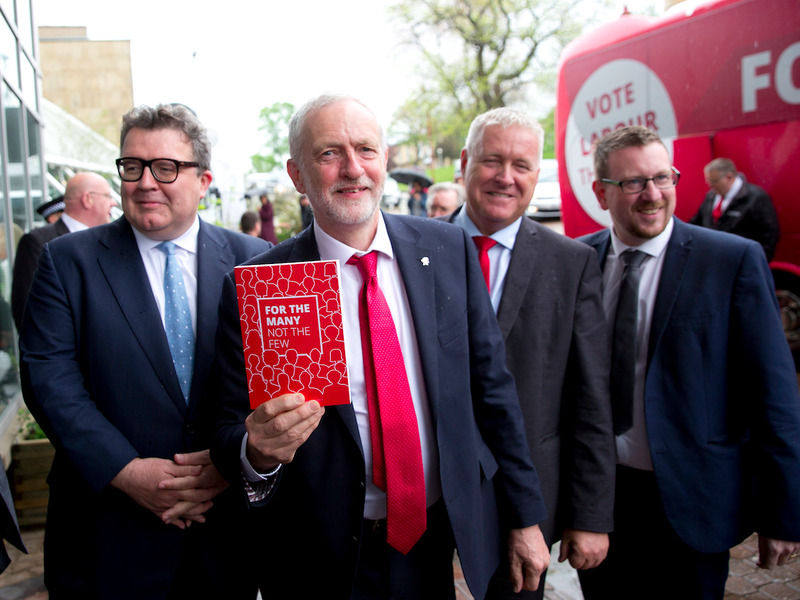 LONDON — The Labour Party could change its Brexit policy and oppose Britain leaving the European Union if there is a major shift in public opinion, the party’s elections strategist has suggested. Labour MP Andrew Gwynne said on Tuesday night that Labour’s stance on Brexit could “have more flexibility” if the “reality” of what it will mean for the country hits home with the British public. Speaking at an event in central London on Tuesday, the MP for Denton and Reddish said: “We [Labour] recognise that the country voted to leave. Whether public opinion shifts in the course of the next couple of years will be interesting to see. He went onto claim that Labour adopted a “very clever” position on Brexit in the run-up to the June snap election. Labour leader Jeremy Corbyn said he accepted the result of last year’s referendum but offered little clarity on whether a Labour government would definitely take Britain out of EU institutions like the single market and customs union. “As a Remain-supporting MP representing a heavily Leave voting constituency, I am in a bit of a predicament,” Gwynne said. Since the election, Corbyn has seemingly ruled out keeping Britain in the single market after Brexit, despite the protestations of several Labour MPs and research showing over 80% of party members support remaining inside. The Labour leader told Andrew Marr over the weekend that Labour could not support keeping Britain part of the single market because it is “inextricably linked” with membership of the European Union. The single market is dependent on membership of the EU,” Corbyn told the BBC’s Marr. “What we have said all along is that we want a tariff-free trade access to the European market and a partnership with Europe in the future. Yesterday Manuel Cortes, General Secretary of the Transport Salaried Staffs’ Association (TSSA) and one of Corbyn’s biggest backers, urged Labour to keep “all options on the table” and criticised left-wing Brexiteers (“Lexiteers”) for demonising EU institutions like the single market. Dan Kitwood / GettyBarry Gardiner (left) pictured with Jeremy Corbyn and Emily Thornberry. On Tuesday Corbyn distanced himself his own Trade spokesman when a spokesperson told Business Insider that staying part of the customs union hasn’t been ruled out as Labour Party policy. 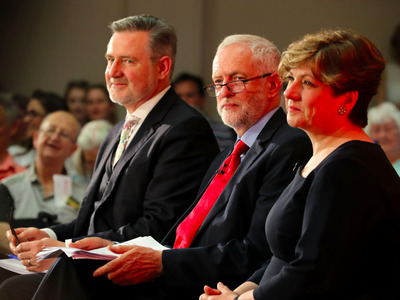 On Monday, Shadow Trade Secretary Barry Gardiner told the BBC that staying in the customs union, which manages the trade of goods within the EU, would be a “disaster,” adding in an article for the Guardian that it was simply “not possible” to remain in the arrangement after Brexit.